Screen Actors Guild Foundation and BroadwayWorld.com have partnered for a filmed Conversations Q&A series to recognize and celebrate the vibrant theatre community in New York City and the actors who aspire to have a career on the stage and screen. On June 10 (6PM) please join us for a Conversations screening of LIVE FROM LINCOLN CENTER: THE NANCE, Q&A with Nathan Lane?. Moderated by BroadwayWorld.com’s Richard Ridge, the event will take place at The New School – Tishman Auditorium (63 Fifth Ave). Live From Lincoln Center is the pioneering, award-winning performing arts series showcasing the best of the wide-ranging programming from the 30 iconic stages of the world’s largest performing arts center. In Live From Lincoln Center: The Nance, Douglas Carter Beane’s acclaimed drama The Nance, produced by Lincoln Center Theater, stars stage and screen actor Nathan Lane. The play tells the story of Chauncey Miles (Lane), a headline nance (a parody of a gay man) in the twilight of New York burlesque’s era, who is homosexual. Integrating burlesque sketches into his drama, Beane paints the portrait of a homosexual man, living and working in the secretive and dangerous gay world of 1930s New York, whose outrageous antics on the burlesque stage stand in marked contrast to his offstage life. The New York Daily News called the play “refreshingly original” and USA Today praised Lane’s standout performance “as heartbreaking as he is hilarious.” The Nance is directed for the stage by celebrated Broadway veteran Jack O’Brien. Rounding out the cast is Jenni Barber, Andréa Burns, Cady Huffman, Mylinda Hull, Geoffrey Allen Murphy, Jonny Orsini and Lewis J. Stadlen. 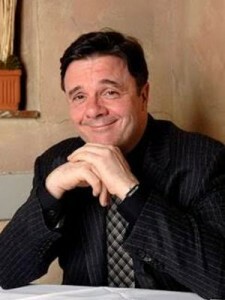 The production was nominated for five Tony Awards, including Best Actor – Nathan Lane, and two Drama Desk Awards (Outstanding Actor in a Play – Nathan Lane and Outstanding Music in a Play – Glen Kelly). The Nance won two Outer Critics Circle Awards for Outstanding Actor in a Play – Nathan Lane, and Outstanding Director of a Play – Jack O’Brien, and Nathan Lane won the 2013 Drama League Award for Distinguished Performance of the Season. 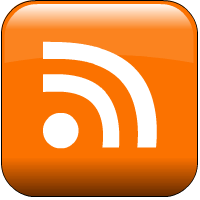 The Nance is directed for the screen by Matthew Diamond. You may register for a guest. Nathan Lane can currently be seen starring in the hit Broadway production of Terrence McNally’s It’s Only a Play. Previous to that, he starred as Hickey in Robert Falls’ production of The Iceman Cometh at Brooklyn Academy of Music which received critical acclaim. Previously, he appeared on Broadway in The Nance, for which he received Tony and Drama Desk award nominations, and won the Outer Critics Circle Award and the Drama League Distinguished Performance Award. Lane most recently had television roles on two of the most critically-acclaimed series – The Good Wife, for which he received an Emmy nomination, and Modern Family, for which he received three Emmy nominations. In addition, his Broadway production of The Nance aired on PBS in October 2014. Lane made his Broadway debut opposite George C. Scott in Present Laughter (Drama Desk nomination), followed by Merlin, The Wind in the Willows, Some American Abroad, On Borrowed Time, Guys and Dolls (Tony nomination, Drama Desk, Outer Critics Circle Awards), Love! Valour! Compassion! (Drama Desk and Outer Critics Circle Awards), A Funny Thing Happened on the Way to the Forum (Tony, Drama Desk, Outer Critics Circle Awards), The Man Who Came to Dinner, The Producers (Tony, Drama Desk, Outer Critics Circle Awards, Olivier Award), The Frogs, The Odd Couple, Butley, November, Waiting for Godot(Outer Critics Circle nomination), The Addams Family (Drama Desk and Outer Critics Circle nominations). His off-Broadway credits include The Common Pursuit, The Film Society, The Lisbon Traviata (Drama Desk and Lucille Lortel Awards, Outer Critics Circle nomination), Lips Together, Teeth Apart, Love! Valour! Compassion! (Obie Award), Bad Habits, Dedication, Mizlansky/Zilinsky, Trumbo, Measure for Measure (St. Clair Bayfield Award), A Midsummer Night’s Dream, The Merry Wives of Windsor, She Stoops to Conquer, In a Pig’s Valise, Love, and Do Re Mi. Lane has starred in over 35 films including The Birdcage (Golden Globe nomination, Screen Actors Guild and American Comedy Awards), Ironweed, Frankie and Johnny, Mousehunt, Jeffrey, The Lion King, Stuart Little, Nicholas Nickleby (National Board of Review Ensemble Acting Award), The Producers (Golden Globe nomination), Swing Vote, Mirror, Mirror, and The English Teacher. In 2006, he received a star on the Hollywood Walk of Fame, and in 2008 he was inducted into the American Theater Hall of Fame. Lane is the recipient of two Tony Awards, six Drama Desk Awards and a Screen Actors Guild Award.